Fairtrade. Ice it for the final touch. Suitable for vegetarians and vegans. 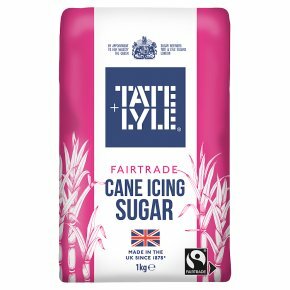 Kosher - KLBD.More than the icing on the cake, Tate & Lyle Icing Sugar is the dusting on your pastries, the brilliance in your buttercream, and always at the heart of the final touch.